Please join us in congratulating Ed Salonek in our Accounting Department for losing the most weight, with an astounding 4.622% body weight lost! A close second place went to Tom Moore in the Sales Department, with 4.491% body weight loss, and third place went to Denise Rosenau in the Web & Marketing Department, with a 1.202% body weight loss. 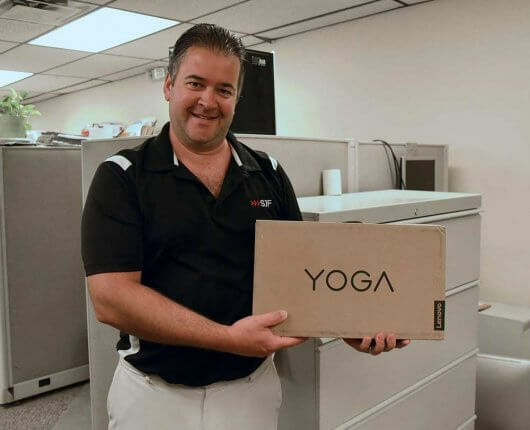 Ed walks away with not only better health, but also the grand prize – an Yoga Lenovo laptop, sponsored by MedVelocity. In total, 29.6 lbs. was shed by the group, with 11 employees participating. A special thanks goes out to MedVelocity for sponsoring this contest and providing not only the prizes, but also positive motivation throughout the contest duration. 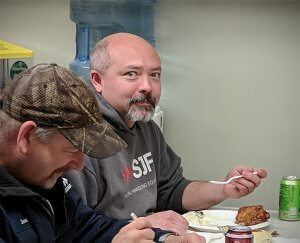 Joe Bachel and Matt Johnson enjoy some of the best chicken in Winsted at SJF’s Employee Appreciation Dinner. October 27, 2017 – How do you show employees that they are valued and appreciated? Feed them, of course! 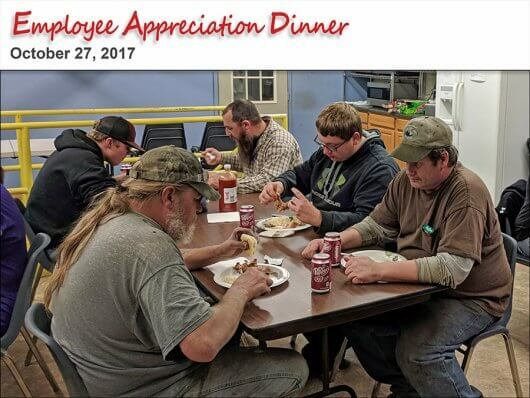 SJF employees enjoyed a catered dinner from V’s Grill in Winsted on Friday, October 27th as a huge THANK YOU for all that they do for SJF Material Handling. 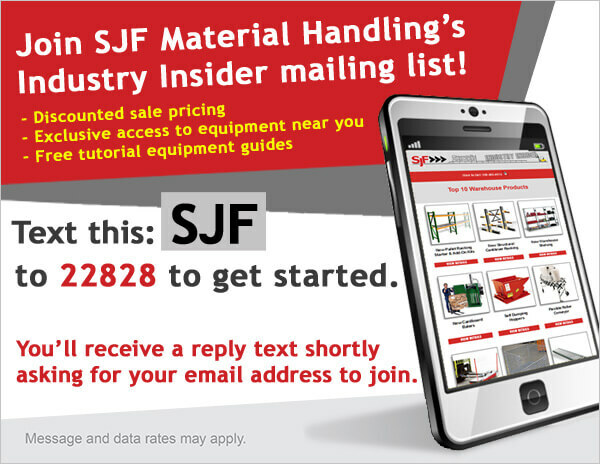 Stay ahead of the crowd – join our Industry Insider mailing list today and be the first to hear of new equipment purchases and special member-only discounts. 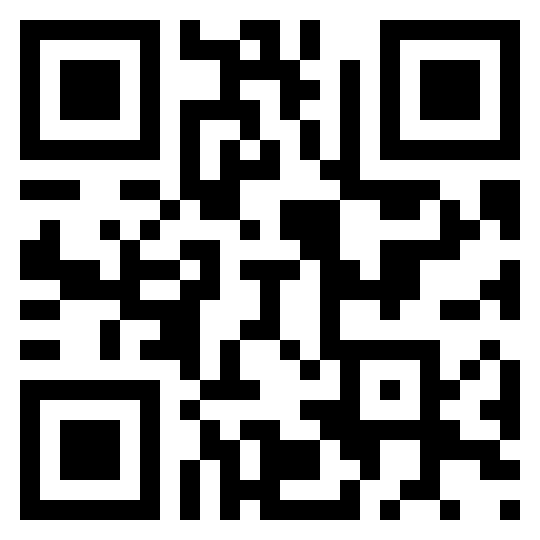 You’ll receive a new mailing once or twice a month with our latest and greatest updates and information. You’ll also have access to our full library of tutorial guides, giving you on-the-spot information and how-tos to keep your home, workplace or warehouse in top form. Remember, you can unsubscribe at any time, no questions asked. 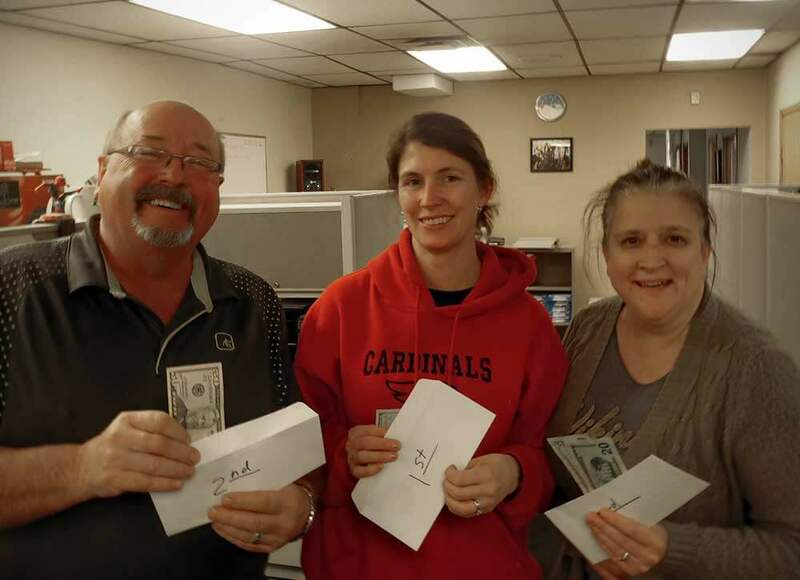 Pictured here (from left to right) are the “Fit as a Fiddle” contest phase II winners: Vance Haugen (2nd place), Lori Bachel (1st place) and Rhonda Remer (3rd place). Way to go! We’re 27.4 lbs Lighter in Phase II of the Contest! Phase II of the “Fit as a Fiddle” contest, sponsored by MedVelocity had the employees at SJF trimming the fat… quite literally! This is the second phase of a three-phase contest. The second round started on Monday, August 29, 2016 and went through Friday, January 13, 2017 with 10 contestants, all competing for the first, second and third place cash prizes. A total of 27.4 pounds were lost, and seeing how this timeline went through the holiday season, we felt pretty good about that! Congratulations to Lori Bachel (1st place), Vance Haugen (2nd place) and Rhonda Remer (3rd place), as well as the rest of the gang for taking a step toward health! 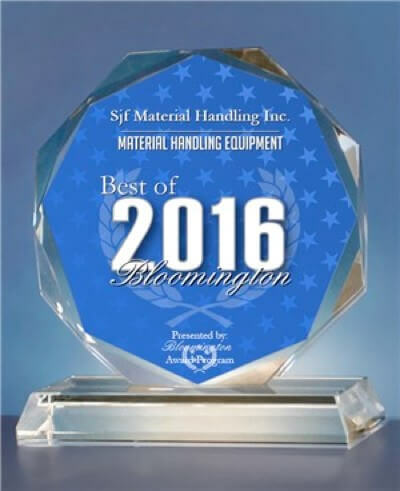 BLOOMINGTON November 8, 2016 – SJF Material Handling Inc. has been selected for the 2016 Best of Bloomington Award in the Material Handling Equipment category by the Bloomington Award Program. Each year, the Bloomington Award Program identifies companies that we believe have achieved exceptional marketing success in their local community and business category. These are local companies that enhance the positive image of small business through service to their customers and our community. These exceptional companies help make the Bloomington area a great place to live, work and play. Various sources of information were gathered and analyzed to choose the winners in each category. The 2016 Bloomington Award Program focuses on quality, not quantity. Winners are determined based on the information gathered both internally by the Bloomington Award Program and data provided by third parties. The Bloomington Award Program is an annual awards program honoring the achievements and accomplishments of local businesses throughout the Bloomington area. Recognition is given to those companies that have shown the ability to use their best practices and implemented programs to generate competitive advantages and long-term value. The Bloomington Award Program was established to recognize the best of local businesses in our community. Our organization works exclusively with local business owners, trade groups, professional associations and other business advertising and marketing groups. Our mission is to recognize the small business community’s contributions to the U.S. economy. 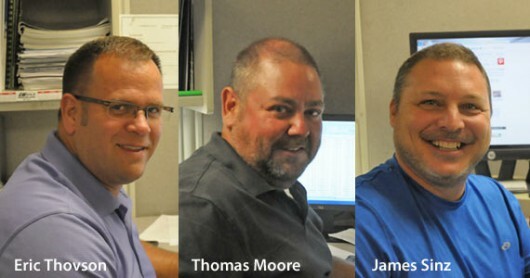 After an exhaustive search, SJF Material Handling (Winsted, MN) has hired three new solutions specialists (sales staff). These three are stepping into some pretty big shoes that were recently vacated by a couple of other very prolific sales staff. We sincerely wish them all the best and are looking forward to seeing what new skills and talents they can add to our growing family at SJF. Eric Thovson comes to us with an auto sales and marketing background, and is very active in his community. Thomas Moore has previous experience selling Skid Loaders and Compact Mini Skid Loaders and enjoys working with his cattle on his farm. If you call in and talk w/one of these gentlemen, please welcome them, and wish them luck in this new endeavor. Hello, readers! We are going to try out something new today. We have decided to take one of our employees and shine the spotlight on them so that you can better understand who we are and what makes us tick. We also want to thank the incredible people we have working here who fill orders, load trucks, refurbish equipment, do paperwork, and all of the other messy jobs that come with running a successful material handling equipment company. That said, our first Employee Spotlight falls on Shawn Heaver. 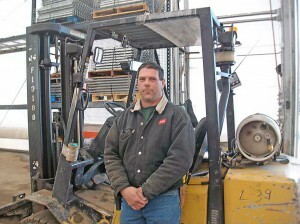 He runs the day to day dock operations as well as works in the yard fulfilling orders from time to time. What do you like most about working at SJF? I get to work with all different kinds of machinery. I’m a big machine guy. What do you enjoy doing when you’re not at work? Relaxing and Gaming. Do you have any other hobbies? Bike Riding and Walking. I try to ride my bike to work when the weather is nice. What’s your favorite day? Friday, because it’s payday and the weekend is just around the corner. What is your biggest pet peeve? When people smack their lips when they’re eating. Name one thing about yourself that people would be surprised to know. Nothing – I’m a pretty low-key guy. This year’s annual Christmas Buffet & Awards event featured BBQ pork & beef with homemade corn bread, shrimp cocktail, desserts, craft beer and even some Serbian moonshine compliments of our installers in Chicago. 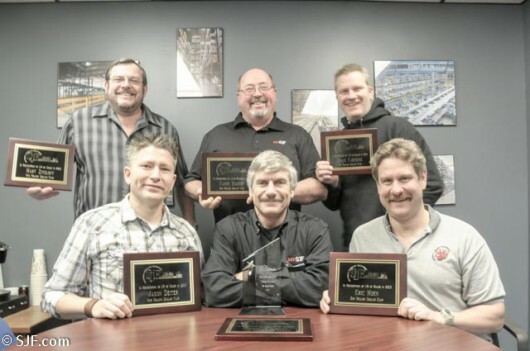 2013 proved to be a great year for the company as demonstrated by a record 6 member of the inside sales team qualifying for induction into the “million dollar club”. 2013 marked a year where the production shop turned out great product in record time. Let’s face it … everyone wants it yesterday. The yard crew also did an outstanding job pulling equipment and getting orders shipped accurately and on time. This was an amazing task on more than a few occasions to say the least. The office staff barely maintained their sanity in 2013 but rumor has it there is light at the end of the tunnel in 2o14. I for one will believe it when I see it. Lori, Ed, Frank and the rest of the staff had their hands full in 2013 to put it mildly. Incorporating new technologies, changing processes, adding and learning new systems while continuing to process sales orders without delay or incident can prove rather challenging at the best of times. Not a feat for mere mortals – but they found a way to get it done. A great team effort by everyone here.